God’s hand is at work at Grace Christian School. We are thrilled to announce that we are just a few final steps away from breaking ground. The membership of Grace Baptist Church has approved Phase One of the expansion of GCS; Lord willing, we will begin this phase of our expansion within the next month! Engineered drawings have been acquired and sent to the City of Charlottetown for approval. Please pray for a timely approval process, so together we can celebrate at a ground-breaking ceremony this November. 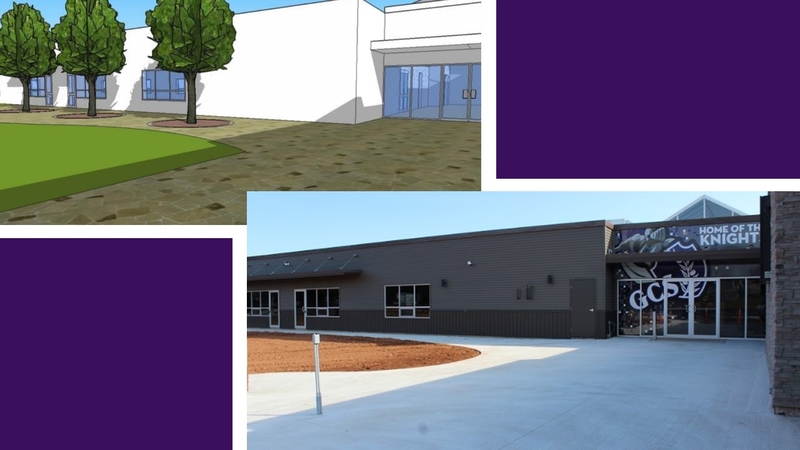 Additional information about our multi-phase expansion, concept drawings, and our overarching Plant A Seed Campaign can be found online at https://www.gcspei.ca/giving/. In the coming weeks, please watch for additional exciting details that will be sent home with your child. Each member of the GCS team is committed to professional excellence and seeks to improve their teaching skills through professional development and the implementation of 21stcentury pedagogy. We are thankful for the opportunity to participate in the ACSI Teacher’s Conference in Moncton this coming Thursday and Friday. There will be no classes for students on those days.